This is one of the most popular pelagic fish in the Cayman Islands. 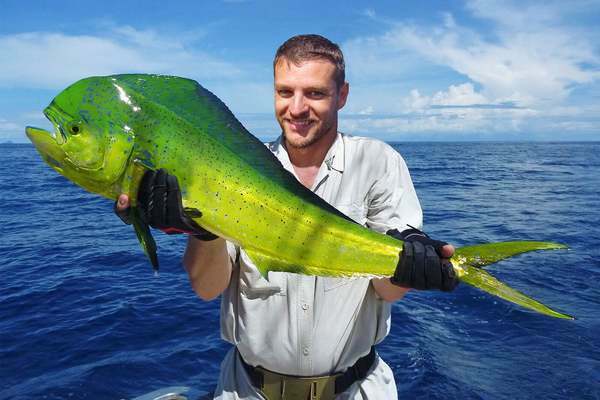 Most restaurants serve Mahi-Mahi due to the high demand. These fish are typically caught at around 15 to 30 pounds, but can get over 40 pounds. Out of all the fish that we catch, wahoo is the most common. This is a great fish to eat, and is very popular among a lot of restaurants in the Cayman Islands. Wahoo are typically caught around 40 to 80 pounds, but can get over 100 pounds in rare circumstances. 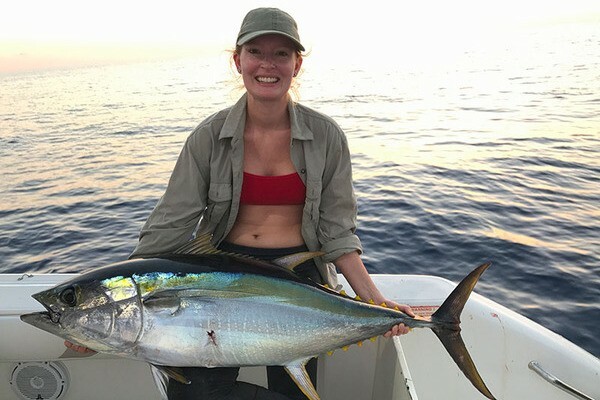 Yellowfin tuna are common throughout the Cayman Islands. These fish are very popular among locals. Most yellowfin tuna are caught at under 100 pounds, but they can exceed 200 pounds. Bonito, also known as "Skipjack tuna", are a smaller variation of tuna. These fish are fun to catch and also great to eat. 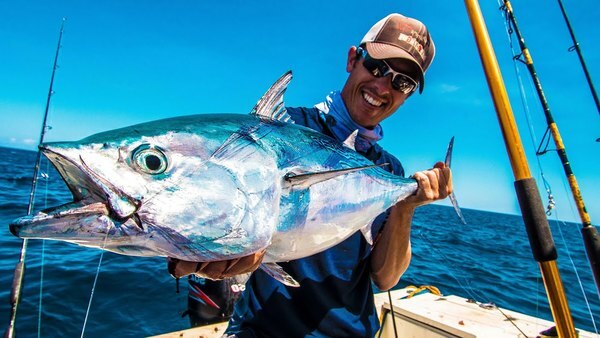 Bonito are typically caught at under 10 pounds. This is a deep-sea species, and are caught at depths of hundreds of feet. These fish are great to eat, and fun to catch. They can get over 30 pounds, but are typically caught at less than 15 pounds. 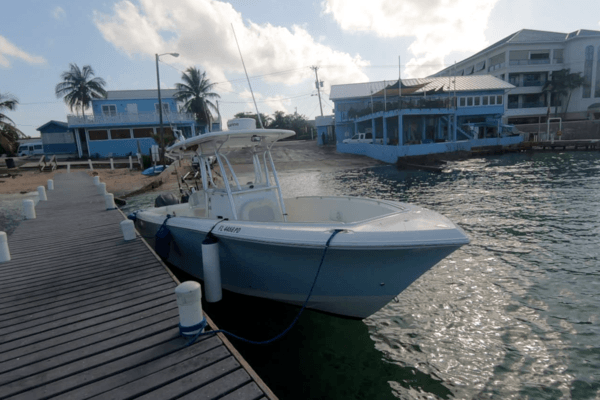 We don't offer reef fishing because the reefs in Grand Cayman are already over-fished. 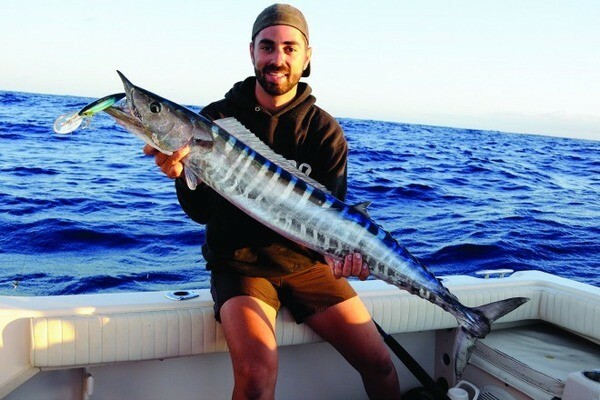 Our fishing charter is deep-sea, catching pelagic fish, such as tuna and wahoo. 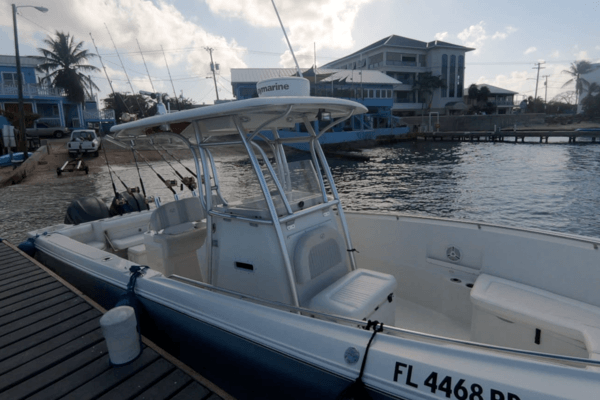 We typically operate our fishing charters on the West side of Grand Cayman because it is less rough. If you are a tourist staying on Seven Mile Beach, then we can pick you up by boat from your hotel/condo beach location. We offer free transport for cruise ship and hotel guests. The Cayman Islands are a popular place to visit, and with good reason. The sunshine, fresh air and natural offerings make for an appealing vacation. Our company shows the best fishing trips available. You can charter a fishing trip with us and get a taste of what the water has to offer as well. With so many options to choose from, we list the best fishing charters possible. We specialize in small group private excursions. 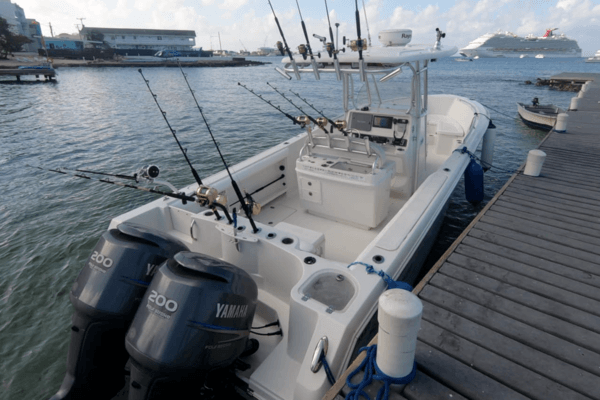 Fishing charters Cayman Islands is one of the most popular activities since it is a great way to spend time with the family. We strive to deliver the best possible experience so that you and your family feel good about the time spent on the water. Cayman Islands deep sea fishing charters are not for everyone. Very small children and people who are known to get sea sick should stay clear. While you might not think that deep sea fishing is possible without a long journey, that is not the case here. Slightly more than a quarter mile from the shore is the Cayman Trench, which is 20,000 feet below sea level! Our company has made sure to pick the best operator to take you there. The flavorful fish caught on these trips can easily weigh 20 pounds. Blue marlin, barracuda and wahoo are all found in these waters. Whether you opt to try steaks from a caught tuna or release it back in the water, you will forever remember the experience. For those who wish to stick a bit closer to shore, reef fishing and snorkeling can be a great way to spend the day. We recommend reef fishing for people who want a shorter, less intense experience. These are popular trips for families uncomfortable with taking their kids so far from shore, as well as folks who prefer to remain with land in sight. At the same time, experienced snorkelers can have fun checking out the coral, fish and other life teeming just beneath the surface of the waters. We have multiple packages to choose from, with varying time frames and destinations. You can choose the one that is right for you or talk to us about customizing a charter for your party. 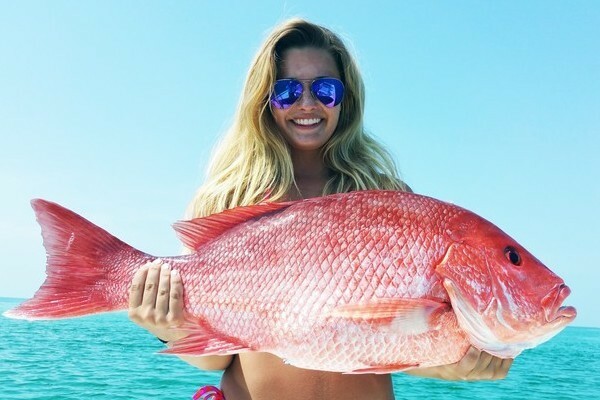 Our fishing charters Grand Cayman are a must do activity whilst vacationing in the Cayman Islands. 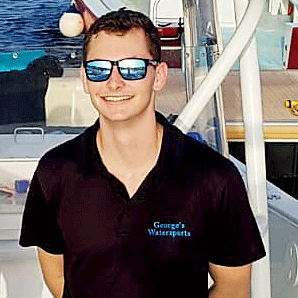 You can rest assured that we are dedicated to ensuring you have the best time possible in the waters surrounding the Cayman Islands. If you are planning a journey to the islands, make sure to figure out your itinerary and start making reservations. Contact us to reserve your spot on one of our incredible chartered fishing tours. The Cayman Islands are one of the most beautiful spots in the world. Let us show you around our home and share the natural wonders of it with you and your party.